Greater S.F. Bay Area bars, clubs, restaurants, auditoriums and cafés which book bands like those on the Hicks with Sticks Bands page. Click the venue’s name to find its calendar, click “Facebook” to navigate to the venue’s FB page, and scroll down for descriptions of the venues. 1 9 Broadway in Fairfax is divided into four comfortable spaces: the main bar, the smoking patio just off the main bar, and a sizable music area with a dance floor. A fourth room, not often used, is just off the listening area and handy for experiencing the music indirectly while still holding a conversation. 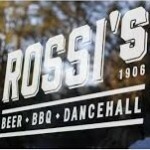 The club hosts bands including Marin homeboys Rusty Evans & Ring of Fire and Chrome Johnson. Touring bands, notably veterans like The Comets and Wanda Jackson, have also found their way to 19 Broadway’s stage. Amnesia at 853 Valencia in S.F., is the city’s most twang-friendly bar. It features bluegrass/country every Monday night, including an open jam beforehand. During the month, two to four other nights will be devoted to Americana, usually touring bands and locals. This Mission neighborhood bar has a large selection of beer, some wine, more beer, a comfortable vibe, and even more beer. The Misisipi Mike & the Midnight Gamblers, Royal Deuces, and many others from the Hicks with Sticks Bands page have played Amnesia. Amoeba at 1855 Haight Street in SF is known for showcasing touring bands, and also supports locals like Joe Goldmark and the Seducers when they release new CDs. Admission is always free, and this large store beckons for your rent money with tempting mountains of vinyl, CDs and DVDs. It is the world’s largest independent music and video store. Armando’s at 707 Marina Vista Ave in downtown Martinez, about 35 minutes northeast of S.F., features live music including C/W, blues, jazz, bluegrass and folk or, as their home page states, “…everything except over-played typical bar rock & roll.” They also have a “Do Not Play” list at the top of which is “Mustang Sally.” Nice. For food, Armando’s has teamed with nearby Haute Stuff; mentioning the “special” from 5-6, Wednesday-Saturday, earns a free appetizer and 50% off admission to Armando’s. Red Meat and Kit & the Branded Men are among the bands that have played Armando’s. The Ashkenaz at 1317 San Pablo Avenue in Berkeley sometimes books western swing for dance shows, but the general absence of twanging roots bookings is unusual given the club’s friendliness toward Cajun/zydeco, swing, blues and other Americana music styles. Our best guess is that nobody from the twang community has contacted them. It is a little more Berkeley than thou, which can put people off, but a friendly staff, light food, beer and wine, a good sound system and nice dance floor make up for the political posters from 30 years ago that still adorn the edges of the stage. Blondie’s Bar and No Grill’s return to live music is fairly recent. This Mission bar at 540 Valencia in S.F., is famous for its selection of martini’s and offers live music every Thursday, some live shows on Wednesdays, and DJed events on weekends. The jump blues/R&B Cosmo Alley Cats play on second and fourth Thursdays; the Rockabilly/honky-tonk Royal Deuces play on first Thursdays; and third and fifth Thursdays are open booking as far as we know. B-Stars, Better Haves and Kit & the Branded Men are among the bands that have played Blondie’s, which, curiously, has no website as of this writing, though it does have a FB page. 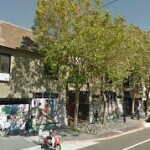 Brick and Mortar at 1710 Mission in S.F. has been dipping into honky-tonk by featuring travelling bands like Lucky Tubb (Ernest’s nephew) and Gal Holliday from New Orleans. Their interest in local Americana is growing slowly as they have booked the Pine Box Boys for a Halloween show. Located in a former auto repair garage, the venue is a little short on warmth, but this is barely noticeable once the party gets started. B&M twang Americana shows my be rare but it is ahead of its sister club, the New Parish in Oakland, which doesn’t book Americana. El Rio, “Your Dive” at 3158 Mission Street in S.F., is best know for it’s sign-up Americana jam with Los Trainwreck every second Tuesday. Their annual Memorial Day and Labor Day shows are 5-band, patio parties that open and close the summer. Meanwhile, bands like The Patsychords, Rumble Strippers, Jesse Jay Harris and Moonshine Maybelline find their way to one of El Rio’s three stages which are: one in the bar where Los Trainwreck’s weekly show and weeknight bands usually play, two on the patio stage weather and daylight permitting, and three in the El Rio’s large adjacent room which is usually reserved for Friday and Saturday nights. Flynn’s Cabaret & Steak House (formerly Don Quixote’s at 6275 Highway 9 in Felton, north of Santa Cruz, supports touring and local bands, and keeping the mainstream music industry at arm’s length. Red Meat, Gayle Lynn & the Hired Hands, and one-off events, like the Bobby Black/Joe Goldmark/David Phillips steel guitar summit, are some of the local bands that have played Quixote’s. Big Sandy and former Commander Cody guitar gunner Bill Kirchen are among the touring bands that have found their way there. The Freight & Salvage at 2020 Addison Street in Berkeley presents a variety of quality music, typically by touring performers. Iris Dement, the Austin Lounge Lizards and Robbie Fulks have played there, as have locals, from the Lost Weekend western swing band and rotating members of the annual “Steel Guitar Summit.” The Freight has been around for decades, occupying a warehouse-like space before moving to its current downtown, BART-friendly, location. It’s a great place to see a show (HWS Review). Refreshments include wine, beer, coffee, teas and snacks. Christine Lavin once remarked that the rococo Great American Music Hall at 859 O’Farrell in S.F. reminded her of a cigar box that a kid glued macaroni to then spray painted gold. This mid-sized venue books touring twang occasionally with some local supporting acts. Red Meat, the Tiny Television and the Shut-Ins have played there as have Dave Alvin and Jim Lauderdale. There’s a full bar, food service, great sound and stage lighting, and a wrap-around balcony with extra seating. The club reserves tables for those who come for dinner and a show. The Hopmonk Tavern has three locations, one at 691 Broadway in Sonoma, another at 230 Petaluma Avenue in Sebastopol, and a third at 224 Vintage Way in Novato. All three offer entertainment and clicking on the town links in the previous sentence links to each location’s respective calendar. Buck Nickels and Loose Change are among the locals who play Hopmonk. Travelers like Robert Earl Keen and Ray Wylie Hubbard appear at Hopmonk’s annual Earlefest as well as at the taverns throughout the year. The Hotel Utah, at 500 4th Street where it intersects Folsom, dates back to SF’s Barbary Coast days and the walls still aren’t talking. Now it is known for its old-school full bar, home cookin’ and forward-thinking booking policy. Locals like the Tough Brothers and Porkchop Express have played the Utah, as have touring bands like Eilen Jewell. Lagunitas Tap Room is part of the Lagunitas Brewery in Petaluma, leaving little doubt about which beer they serve. Jinx Jones and the Kingtones, Danny Montana & the Bar Association and the Royal Deuces have all played there, sampled of their wares, tasted of their food, and perhaps come away with a souvenir like a Lagunitas t-shirt or belt buckle. The Lost Church is a cozy auditorium-like venue well hidden at 65 Capp Street, close to the 16th Street BART station in S.F. It’s exterior of corrugated steel belies the relaxed atmosphere and interesting architecture within. Music and theater make up most of their program, but film and spoken word find their way to Lost Church’s stage as well. It is a breeding ground for the arts and very San Francisco. They lean toward to acoustic side of music representing several styles. Alt-bluegrassers Front Country and Jeanie & Chuck, as a duo, are among the Americana bands that have played there. The Lucky Horseshoe, a full-service neighborhood bar on the south side of S.F.’s Bernal Hill, has taken a giant leap forward from its former incarnation as Skip’s Tavern. The hard-core drunks have been run off and its aura of gloom has bee. thoroughly disbursed. People who know music now manage this venue which attracts a wide array of talent including, from the Americana side, The Patsychords, Shut-Ins and Country Casanovas. The Make-Out Room is a fine dive in the Mission tradition. The club features live and DJed music, a full bar, pool table, booths, and minimal political correctness. A bear hide hangs on one wall and on another is a deer head that’s almost invisible under the mound of bras that customers have flung on its antlers. The Patsychords, Rumble Strippers and the Bootcuts have played there; DJ Teets spins country vinyl every 3rd Monday from 10:00 pm to 1:00 am. Moe’s Alley in Santa Cruz is particularly strong on booking touring twang like Lucky Tubb (Ernest’s nephew), Dave Alvin and Marti Brom, though Santa Cruz’s homeboy, Jay Lingo, plays his share of shows, opening and headlining. Moe’s has a full bar and plenty of parking, and a west coast vibe that appeals to an easy-going, beer-drinking, music-loving crowd. The days when it identified as a “blues” club are now far behind it. The Brothers Comatose have found Murphy’s which is party headquarters in quaint downtown Sonoma with a lively crowd of locals and music from Thursdays through Sundays. Thursdays are usually folk, Fridays and Saturdays bluegrass and Sundays Irish, but the schedule is not that firm so they can slip in a blues or country band every now and again. We see few Hicks with Sticks-type bands there because most do not know the club exists, which is a shame because where else can you get an award-winning cucumber martini. The Mystic Theater, a former movie house, books mainly touring bands. The interior has been reworked to include tables and a dance floor. Big Sandy & the Fly-Rite Boys, Wayne Hancock and Bill Kirchen have played there, but when the venue does book locally, it tends toward cover and tribute bands. Local twang bands usually support touring bands, though Red Meat has headlined. The Mystic is managed by McNear’s Bar and Restaurant which is a full service restaurant next to the showplace. Thee Parkside is a punk rock dive that features twang every Sunday from 4:00 to 7:00. Many listed on the HWS Bands page have played there, but in 2013 the club parted ways with Boom, their twang booker, who has since moved “Twang Sundays” to Tupelo in North Beach. Meanwhile, the club continues to book Sunday shows on its own. Plenty of parking, food service, a large patio and improved sound are among the club’s strengths. There’s nothing fancy about Peri’s Silver Dollar, not that there needs to be. Located in the heart of Fairfax, the club features a full bar and music all week long. Rusty Evans & Ring of Fire, Slim Jenkins, Danny Montana & the Montara Mountain Boys and Whiskey Pills Fiasco play there as do many other north county twangers. It has a large open patio for smoking or just taking a break from the music. Pier 23 sits on SF’s Embarcadero waterfront three-quarters of a mile north of the Ferry Building It has a full bar, food service and a historic reputation as a waterfront dive, live music venue and hangout for fan dancer, madam and late SF icon Sally Rand. It’s in a tourist-intensive part of SF, yet its clientele is mainly locals who can enjoy tourist-worthy views of the Bay at a down-to-earth venue. Whiskey Pills Fiasco, Jinx Jones and the KingTones and the Californios (Sacramento) are among the bands that have played Pier 23. Rancho Nicasio is 11 miles off Highway 101’s Lucas Valley Road exit. This former roadhouse is a great place to enjoy dinner and a band. ’70s bands including the Amazing Rhythm Aces, Asleep at the Wheel and New Riders of the Purple Sage have played there, as have more recent bands like Big Sandy and Hacienda Brothers. Locals like Red Meat and The Jenny Kerr Band have played there as well. In summers they have BBQ’s on the lawn with outdoor concerts set in the midst of Marin’s rolling hills where hawks soar. Head west on Taraval. If you reach the Farallon Islands you’ve gone too far, but not by much. The Riptide might be “out there,” but it’s worth the trip. The club’s heads-up booking policies bring great music to this out-of-the-way bar’s non-stage. Joe Goldmark and the Seducers play every second Sunday, while others, like the Shut-Ins or Big Smith from Missouri check in from time to time. The club itself is warm, friendly, and a block and a half from Ocean Beach. The Reel Fish Shop and Grill in Sonoma opened in 2016 giving new life to a venue known as Rossi’s 1906, and before that Little Switzerland. The restaurant has an active music schedule on weekends and retains its large central dance floor from when the restaurant was built in the mid-20th century. Tommy Thomsen, Attila Viola and the Bakersfield Boys and the Lonestar Retrobates are among the bands that have played there. The Saloon is a classic North Beach dive that books blues. However, the rockabilly/vintage rock band The Bachelors play there (and not much of anyplace else) every Monday night. Jinx Jones & the KingTones play every second Friday afternoon, and Christopher Ford is there every third Thursday in the afternoon. Full bar, cheap drinks, and no cover Sunday through Thursday. It is the oldest bar in SF, and the second oldest bar west of the Rockies, dating back to the 1860s when SF’s “Barbary Coast” waterfront was a cove and North Beach was on the north side of that cove which was filled-in with rubble from the 1906 quake. wang gets booked usually in support of a touring act. 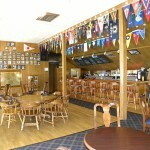 The club has a full bar, food and reserved seating with dinner reservations. Established in 1851, Smiley’s is the West Marin dive you’d want it to be. It can be a little tricky to find because locals keep tearing down the Caltrans sign that directs travelers off Highway 1 into well-hidden Bolinas. There’s something poetic about having to know where you’re going before you leave. The Burning Embers, Whoreshoes and Jimbo Trout & the Fishpeople have played there. The place is a hotel too and they usually put the band up for the night. Speisekammer is a restaurant with strong support for local music. There’s an outdoor beer garden, cozy, low-lit dining areas, and regular, live entertainment in the bar. Kit & the Branded Men, the Saddle Cats, California Honey Drops play there, often all during the same month. They serve German food with a California touch, so the meals, while satisfying and reasonably priced, are not the heavy uber-food many have come to associate with German fare. The Starry Plough in the East Bay that regularly books amplified twang music. They’ll host touring bands like Robbie Fulks or Split Lip Rayfield, and locals like Loretta Lynch and 77 el Deora. The bar serves beer and wine, and the kitchen dishes up burgers and pizza until 10pm. Both food and drinks are reasonably priced and cover charges barely exceed $5. The club has had a major upgrade to its interior, PA and booking policies, all of which will hopefully keep it going strong for its next 40 years. In 2012, Sweetwater reopened at a new, bigger, better venue in Mill Valley, literally around the corner from it’s previous location. Shut-Ins, Houston Jones and Country Joe MacDonald (of C.J. & the Fish) are among the Americana bands that have found their way to the still-venerable club’s stage. The new Sweetwater also has a cafe serving breakfast, lunch and dinner, and a side-counter for grab-and-go refreshments. Finding the Travis Marina Bar in Horseshoe cove on the Marin side of the Golden Gate Bridge is half the fun. It’s not in Sausalito though its official address is Sommerville Rd., Bldg. T679, Ft. Baker, Sausalito. It is in Fort Baker, now part of the Golden Gate National Recreational Area, and it’s right by the water with a spectacular view of the Golden Gate Straits and San Francisco. The Lonestar Retrobates play there every second Sunday. Twin Oaks Tavern, a former country schoolhouse, is located on the outskirts of Penngrove, which itself is located on the outskirts of Petaluma. It’s a home-spun type of bar, restaurant and performance space. The venue’s Americana roots run deep and it’s quite the hang out for band veterans Marin and Sonoma Counties. 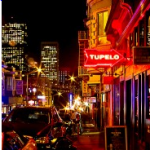 Tupelo, a lively addition to upper Grant Street in North Beach, provides a warm welcome to Americana with Jinx Jones & the KingTones and Whisky Pills Fiasco playing there about once a month, and Boom’s “Twang Sunday” shows wrapping up every weekend. This venue, a restaurant that specializes in Southern style cooking, gets good reviews from those who play there. One of the partners, a musician himself, understands staging music from a band’s point of view and keeps the logistics smooth and hassle-free. 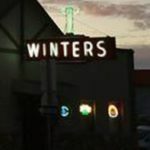 Winters Tavern in Pacifica features music and good beer. “It’s all about the music” is their slogan about the former, and “no crap on tap” is what they have to say about the latter. The venue offers live music most nights of the week along with an extra 4:00 show every Sunday. They book everything from bluegrass to punk. Moonshine Maybelline and Laura Benitez and the Heartache are among the Bay Area Americana bands that have played Winters. SF Bay Area clubs likely to book more Americana if contacted.